We have the best quality hair for you. 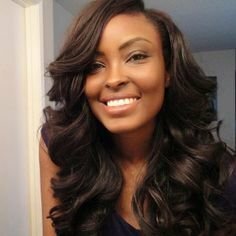 Get 100% unprocessed Peruvian or Brazilian as well as 100% human hair. Also get lace closures and frontals. Style it as you desire. Get 15% off 3 bundles of weave. Plus more offers on lace wigs.